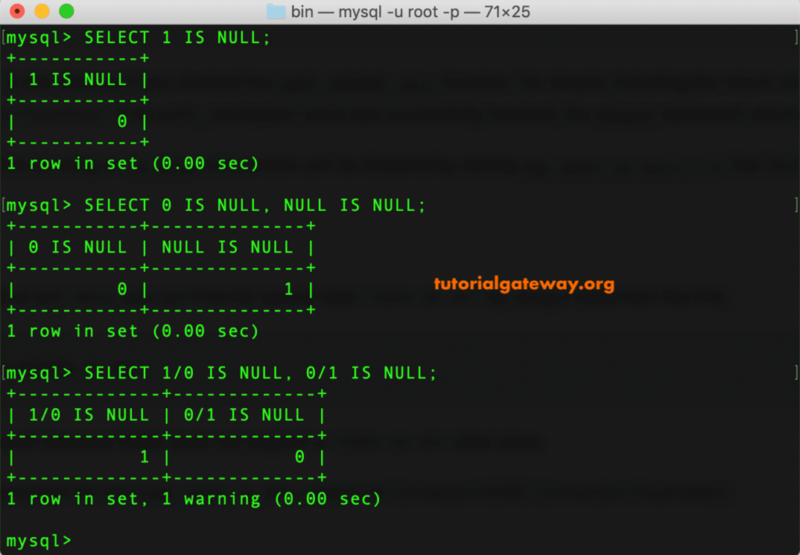 The MySQL IS NULL is used to test whether the user given expression or column value is NULL or not. 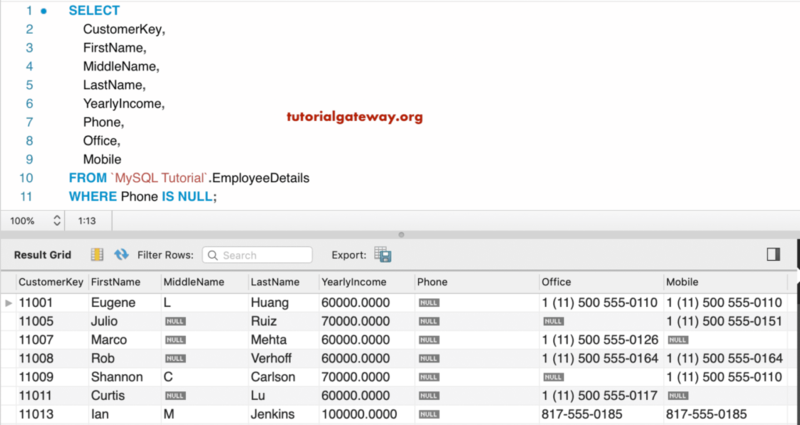 You can use this function inside a Where clause to find the records with NULL values. 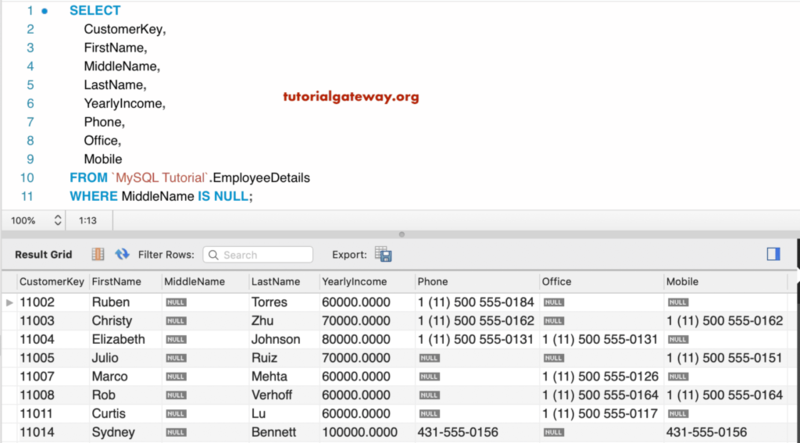 In this example, we will show you the simple examples of IS NULL operator. Here, 1 is Not a Null value, 0 or NULL are Null Values. In the last statement, 1/0 is a NULL. 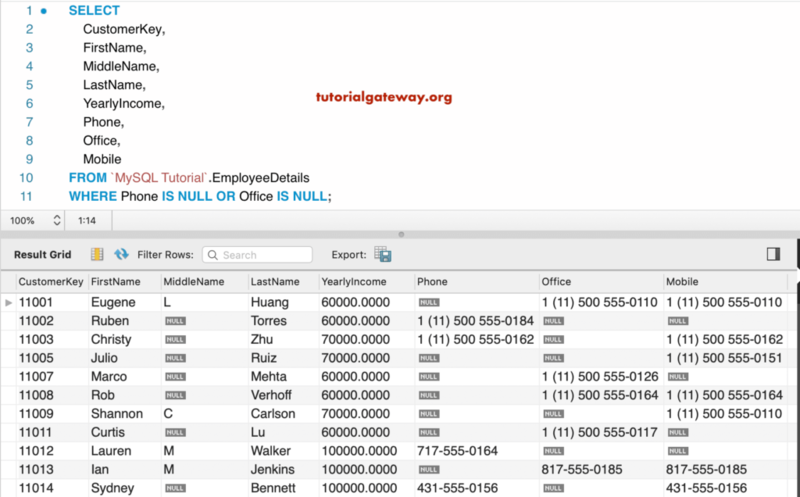 The following Query returns all the employee records whose Phone number is NULL. 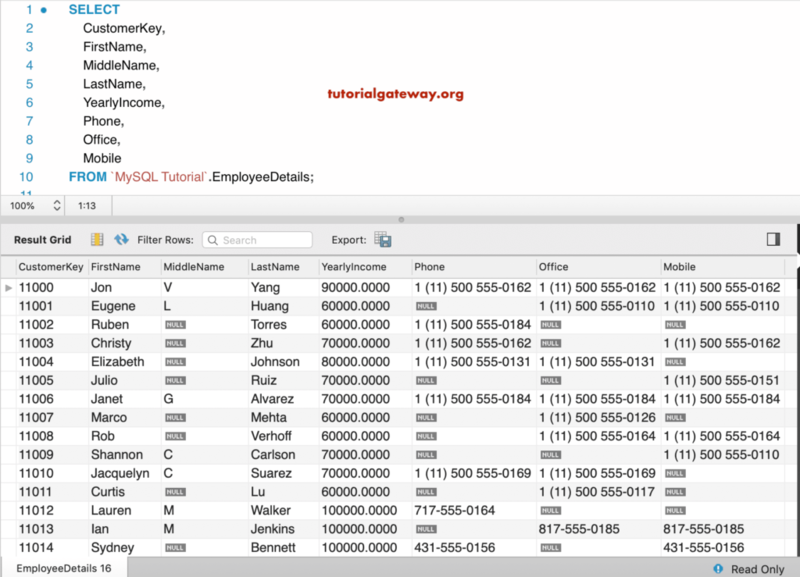 Here, we are finding the employees whose Middle is Null and their Phone number is also Null.